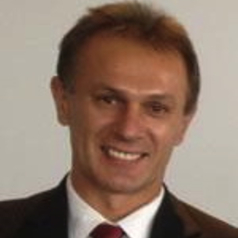 Mirko Bagaric is Professor of Law at Swinburne University of Technology. He was previously the Dean and Professor of Law at Deakin University. He graduated from Monash University with a BA/ LLB (Hons) degree in 1992. He obtained a PhD from Monash University in 2001 for his thesis ‘Punishment and Sentencing: A Rational Approach’. Professor Bagaric is the author or co-author of 30 books and over 130 articles in leading international journals including the Buffalo Law Review; the San Diego Law Review; the Michigan Journal of Race and Law; the Albany Law Review; Law and Inequality; the University of San Francisco Law Review; the Berkeley Journal of Criminal Law; the Brooklyn Journal of International Law and the Criminal Law Review. He has also published in the leading Australian law journals, including the University of New South Wales Law Journal; the Sydney Law Review; Melbourne University Law Review; Monash Law Review and the Adelaide Law Review. His main work is in the area of punishment and sentencing. He has also written extensively in migration and refugee law and human rights law. His articles have been cited in over 50 court judgments, including the High Court of Australia and superior courts in Canada, Singapore, New Zealand and Ireland. His research actively and regularly engages with the community, having authored approximately 500 opinion pieces on a range of socially relevant and important legal topics. He appears regularly in the electronic media as an expert commentator on his research areas. Professor Bagaric’s main research priority is encouraging governments to implement an evidence based and normatively sound sentencing system, which secures four objectives: to reduce crime; to punish criminals appropriately; to minimise the cost of the system and to ensure the system does not violate important moral standards. Professor Bagaric is one of 18 contributors to Future Proofing Australia (MUP, 2013) which is edited by Federal Senator and Parliamentary Secretary to the Minister for Foreign Affairs Brett Mason and Daniel Wood. The forward to the book is written by Australian Prime Minister Tony Abbot who states that the authors are ‘big thinkers on big ideas’. Professor Bagaric has extensive legal experience. He is a former member of the Migration and Refugee Tribunal and is a practicing lawyer, mainly in the area of white collar crime. He has appeared at courts at all levels of the judicial hierarchy including the High Court of Australia. As well as his academic writing, he is the co-author of several practitioner works which are updated quarterly. The main works are Australian Sentencing Law; Federal Offences and Victorian Criminal Law and Procedure. He is the editor of the two volumes of Laws of Australia which cover criminal law.